Please download the zip file (above) and unzip it to a folder of your choosing. Then run the file 'Tutorials.exe'. 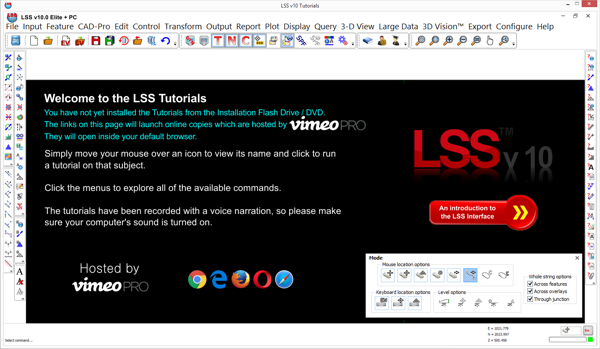 This will show you a mock-up of the LSS v10 screen in which you can navigate and view tutorial demonstrations.